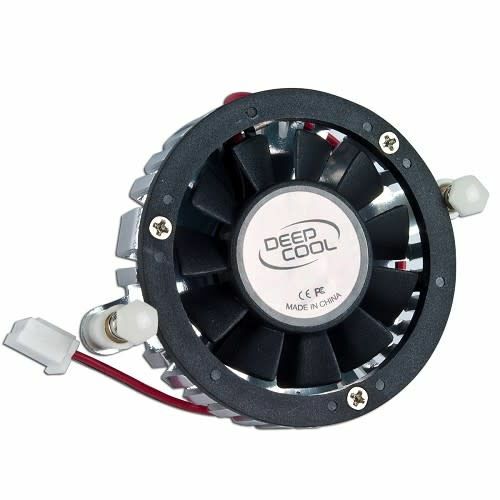 Deepcool V40 Aluminum VGA Cooler & 1.57" Fan w/2-Pin Connector for ATI & NVIDIA Video Cards - NWCA Inc. This Deepcool VC40 VGA Cooler delivers superior cooling performance for NVIDIA and ATI Radeon video cards! The V40 features an aluminum heat sink and 1.57-inch (40 mm) sleeve bearing fan with a 5300 RPM rotational speed and a 6.81 CFM air flow! The Deepcool VC40 VGA Cooler supports NIVDIA GeForce MX400, 6200, 6500, 7100GS, 7200GS, 7300LE, 7300GS and 8400GS video cards!